The Black Eyed Peas - Poster. . HD Wallpaper and background images in the Black Eyes Peas club tagged: concert live taboo fergie black peas eyed the e.n.d. apl.de.ap. 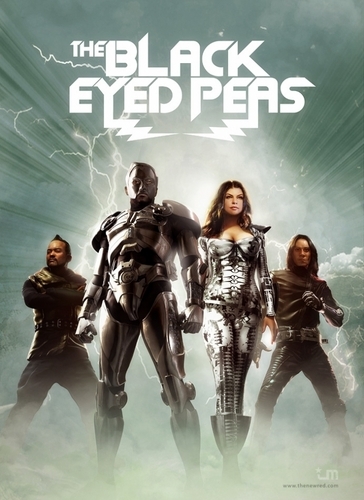 This Black Eyes Peas photo might contain đài phun nước, anime, truyện tranh, phim hoạt hình, and manga.